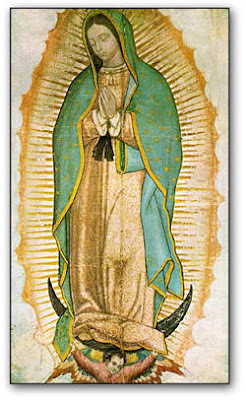 I am not very sure if the Virgin of Guadalupe endorses political views. One day, when I attended some lecture about the Virgin of Guadalupe, the speaker said that the incarnation of the undesired children, and the unification of the society were the values of the apparitions of the Virgin. This is primarily a life and social justice issue. Thanks Timothy, I will pray this prayer, expecting the mercy and the grace of God flows over all of us, especially, the unborn child, through the Virgin.